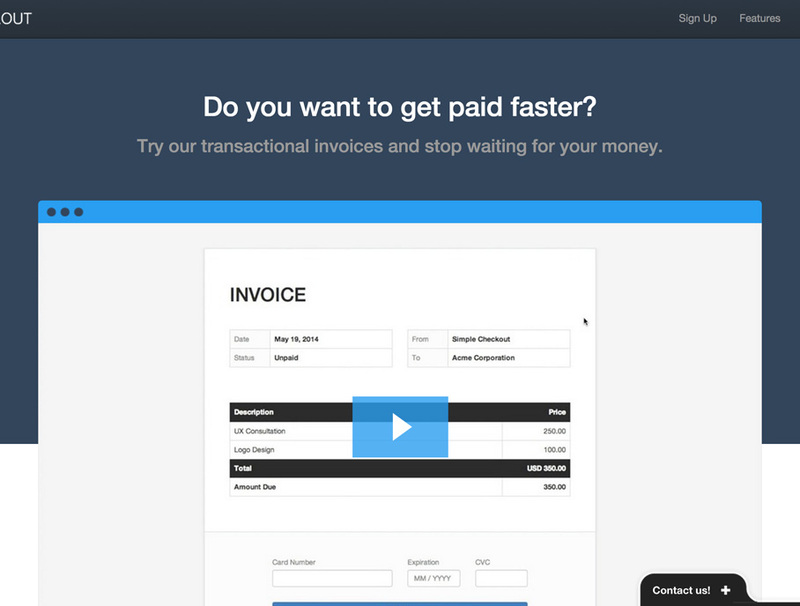 Simple Checkout is an invoicing application with built-in payments, designed specifically for freelancers and other professionals. Simple Checkout’s “high converting” checkout pages are designed in a way that enables users to sell fixed price products quickly and with minimal distractions. Create an invoice with Simple Checkout just like you would any other invoicing application, making sure to include basic elements like the client’s name, email address, and item descriptions. Once your invoice has been created, you should select a payment processor and connect your existing account to Stripe. Clients who receive your invoices via email will be able to pay with their credit cards right away by entering their information directly on the invoice payment screen. Payments are processed immediately, and you’ll get your money quickly without paying any additional fees to a service like Paypal. Simple Checkout has designed its platform to be as straightforward as possible. This simplicity makes it easier for clients to navigate the online invoices they receive, and increases the chances that a freelancer will be paid immediately for his or her services.